The text below has been compiled from various websites, particularly Peter Higginbotham’s Workhouse site and England’s Poor Law Commissioners and the Trade in Pauper Lunacy website. 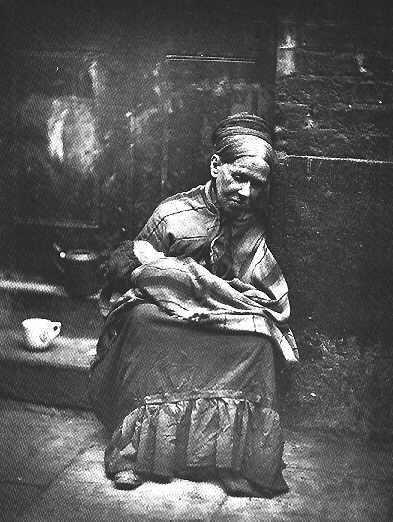 The workhouse system provided basic sustenance for the very poor, infirm and aged, often in return for some unpaid work. First established during the Elizabethan era, a Parish would elected overseers to provide relief for the sick, and work for the able-bodied poor, in the Parish workhouse. 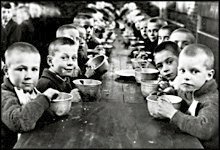 Parishes could provide either outdoor relief (usually in the form of food), or indoor relief in the (residential) workhouses. In 1662 the law was changed and enabled the overseers to expel any poor not born in the parish where they sought relief. Conditions varied but were generally harsh and punitive, for example on entering the workhouse an individual lost all voting rights and was subject to a regime of meagre food and irksome work such as stone-breaking. Parishes often took out contracts with local businesses to run their workhouses and asylums. The Lambeth Workhouse was north of Lower Kennington Lane and east of Renfrew Road. There were on average 700 indoor paupers in Lambeth and it was said by the Lambeth Vestry that the contract system had saved them £3,000 a year. Mott had found the Lambeth workhouse scales half an ounce out when he took over: half an ounce in favour of the paupers; due to an accumulation of dirt on the scale that took the weights. So he had the scales scrubbed and adjusted “with nicety”, annually by a scale maker and daily by the people who used them. Mott was adamantly opposed to what he called: “The tendency… to a constant increase of diet and accumulation of comforts from the interference and influence of humane but mistaken individuals.” The example he gave was of a county magistrate who had distributed some small parcels of tea to several of the old inmates at Lambeth and had recommended an allowance for the “comforts” of tea and sugar to the elderly paupers. Mott remonstrated with the parish officers, but to no avail. Ever since they had “allowed ninety-five old inmates 6d each week in addition to their allowance of food” and this had cost the parish over £125 a year. “Humane individuals rarely calculate upon the tendency or aggregate effect of such alterations,” Mott complained. The extension of this indulgence, however, was checked by the contract system. “But had the workhouse been under the old management, the probability is that the indulgence would have been extended to the greater proportion of the inmates.” He considered that paupers were not entitled to such indulgence. At one stage Mott became a ‘Guardian of the Poor for the parish of Lambeth’ as well as being a contractor to the same Guardians. Under his influence the Lambeth Parish sent their ‘lunatics’ to Mott’s Peckham House Lunatic Asylum. This asylum also took in people from about 40 other parishes. These findings did not stop Mott from becoming an Assistant Commissioner of the Poor Law Commission in 1834 and setting up yet more establishments. Mott’s houses were seriously overcrowded, with poor equipment and facilities, the staff were poorly trained and managed, the death rates were high and there were complaints of physical abuse. Because of Mott’s position, it appeared to many that the Poor Law Commissioners were, among other things, running an asylum and permitting the ill-treatment of patients. This caused a major scandal and Mott was sacked in 1842. From the 1870s the discipline was relaxed and orphans would be placed in smaller institutions or with foster parents. 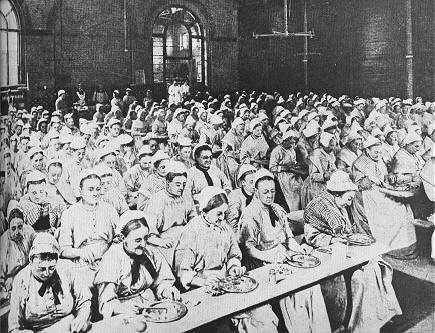 By the end of the 19th century workhouses had become more specialised, serving the functions of hospitals and asylums. The remaining administration block of the Lambeth workhouse in Renfrew Road has been redeveloped and is currently home to The Cinema Museum. As a child Charlie Chaplin was an inmate in Lambeth Workhouse, when his mother faced destitution. 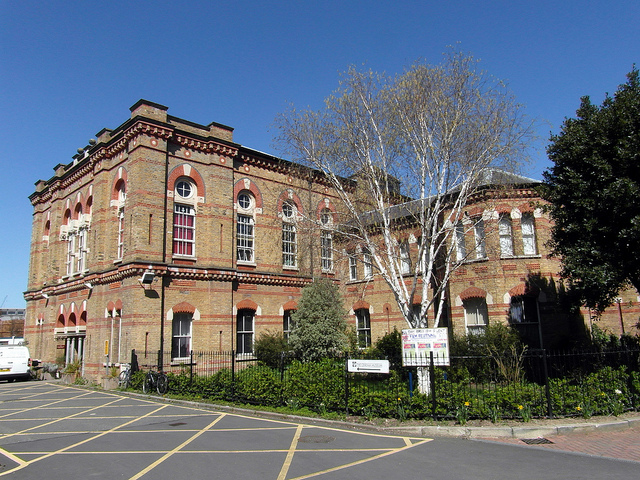 Peter Higginbotham’s Workhouses website has a section devoted to Lambeth workhouse.